When you're not on the tiller, steering and constantly reminded that getting distracted for just a few seconds will always result in an embarrassingly noticeable zig or zag; and there aren't any locks with gates to heave open and closed, with paddles to wind up and let down again - when none of that applies, cruising the canals is a peaceful and relaxing business. There's hardly any engine noise, you can hear the birds singing, ducks quacking, the water rippling through the rushes, and smell the leaves as the boat glides under bridges and overhanging trees. It's totally relaxing. It's the sort of boating holiday you expected, before you discovered the reality of the effort and concentration required to control the boat. By you, I mean me. I had a shift just sitting at the bow today, and the biggest stress was waking up the ducks fast asleep on the water right in front of us. There were other boats to inspect (one of them with my name), boaters and fishermen to exchange greetings with, and sweeping generalisations to make. Like, there are four sorts of boaters: novice hirers like us, experienced owners, hippy liveaboards (that's the official term) and house-proud liveaboards. Some of the last group, far from getting away from it all, have beside their mooring little lawns that need mowing, you know. 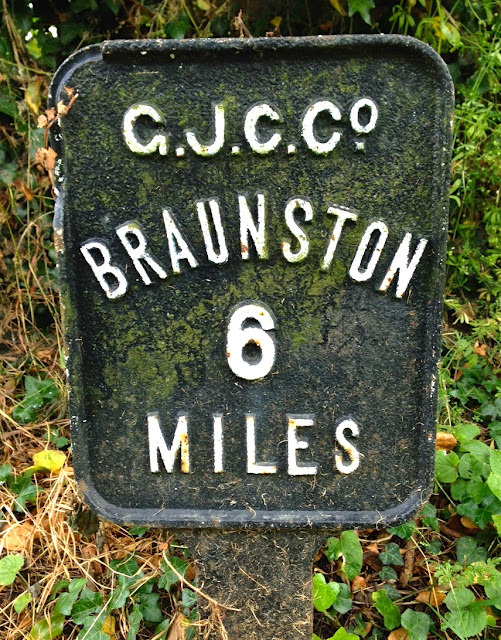 Also, we passed the six-mile post from Braunston, which we left one and a half days ago. Speedy! We've done 36 locks since starting, and today was our turn-around, so we're halfway through our journey. First, though, there was a cream tea in the shop at Whitton Marina with the cherry trees outside, where the plump, friendly lady who served us insisted that she wasn't the model for the painting in the loo there. After Weedon Bec, we got to Bugbrooke Wharf, and this brought the day's only real stress. We had to turn around, you see, and when your boat is 16m long, which is about the width of the canal, what you need is a winding hole. That's winding as in the thing that blows, and that was a problem today, a chilly Icelandic breeze pushing us in the wrong direction when James tried to get the bow poked into the specially-dug big notch in the bank. Of course, that was the very moment another boat came along, adding to the stress of trying to work out what combination of throttle, gear and tiller direction we needed. But boaters are, generally, a friendly and helpful bunch, and the kind man on this one gave unhurried advice, hauled on our stern rope, and helped to turn us around. The reward for all this effort and anxiety was a mooring right outside The Wharf pub, where we drank several soothing ciders and enjoyed our dinner.